This house is such a TREAT! Welcome to Thousand Pines – a neighborhood as charming as it sounds. This gorgeous 4 bedroom/3.5 bath has it all. 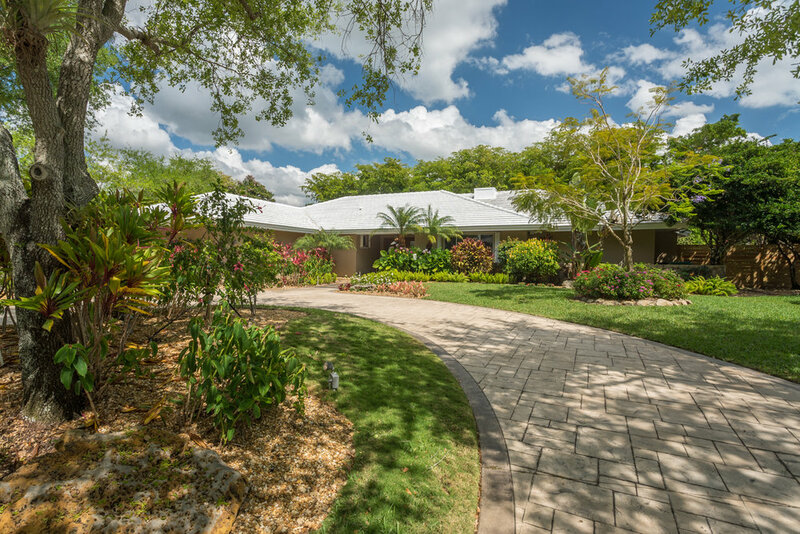 Beautiful vaulted ceilings, open living spaces, an incredible (newly refinished) pool and screened patio area with tons of covered space for entertaining, and lush landscaping that has been groomed for years with orchids galore. The split bedroom plan includes a master suite that has been perfectly updated – the master bath is new and perfect! Beautiful BIG kitchen with high quality wood cabinetry, newer stainless appliances, and room to eat-in. Also features a 2-car garage, impact windows/accordion shutters, new alarm system, community tennis courts. This is a really nice home in a lovely neighborhood, close to St. John Neumann School!